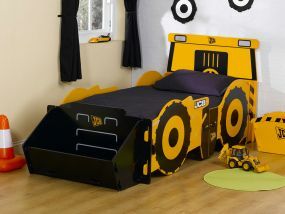 For kids’ beds, there is no better choice than Kidsaw. Their designs are innovative and fun, with practical features to suit your space and - more importantly - your child. Choose a Kidsaw single bed that your child will love from the range available at Bedz 'R' Us. From cabin beds with shelving and storage to exciting car-shaped bed frames, there are so many options to choose from. With natural pine wood bed frames for stability and slatted bases for comfort, Kidsaw single beds are ideal for helping your child get a good night’s sleep. With great savings and discounts on retail prices, Bedz 'R' Us is the perfect place to shop the Kidsaw beds range. Not only that, delivery of your chosen bed is completely free – even next day! Browse Kidsaw beds on Bedz 'R' Us today, and find the perfect bed for your child.